Soroptimist: (Latin) Soro = sister, optima = best. 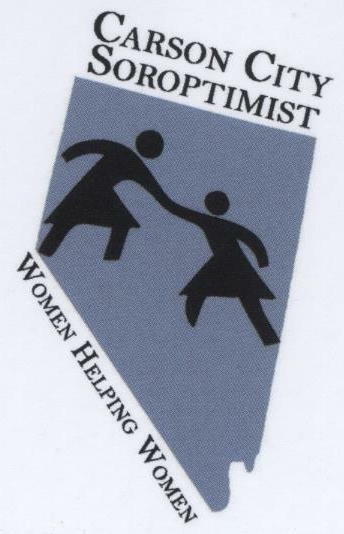 Soroptimist means Best for Women. However, we are not a sorority. Soroptimist was started by professional business women, and is an organization of volunteers dedicated to improving the lives of women and girls. We have Clubs, not chapters; we are members and friends, not sisters. Mindful of our start as an organization for business professionals, meetings are always to start and end on time. History: Soroptimist began on October 3, 1921, when the first meeting was called to order by President Violet Richardson, in Oakland California, to serve the ideal of service. It has now grown to a network of over 75,000 club members in 132 countries and territories working at a local, national and international level to educate, empower and enable opportunities for women and girls. Our Organization: Soroptimist International (SI), Headquarters in Cambridge, England - General Consultative Status at the United Nations Economic and Social Council: focus on women's issues. Mission: Soroptimists inspire action and create opportunities to transform the lives of women and girls through a global network of members and international partnerships. Logo: A woman with arms uplifted in a gesture of freedom and acceptance of the responsibilities of the best and highest good, on her left the leaves and the acorns represent the strength of our organization, on her right the leaves of the laurel typify victory and achievement. Signature Program: December 10th President's Appeal (United Nations Human Rights Day), 2015-2017 Appeal is Educate to Lead: Nepal; 3 projects, of which #2, proposed by SI Truckee Meadows, works to remove barriers to education for women and girls there. Our Federation: Soroptimist International of the Americas (SIA); one of four (SI Great Britain & Ireland, SI Europe, and SI South West Pacific are the other three); Headquarters in Philadelphia Pennsylvania; nearly 1,300 clubs in 20 countries and territories in North and South America and Asia's Pacific Rim (Japan, South Korea, Taiwan, Philippines). Logo: stylized S shape, adopted in 2003. Mission: Soroptimist improves the lives of women and girls through programs leading to social and economic empowerment. Our Region: Sierra Nevada Region (SNR), one of 29 in our Federation; 1800 members in 53 clubs located from Sacramento north to Yreka and all of the state of Nevada. Mission: same as the Federation, to improve the lives of women and girls through programs leading to social and economic empowerment. Fall & Winter Meetings each year; Fall 2016, in Las Vegas; Winter meetings, in March 2017, at various clubs in the District. Our Club: Soroptimist International of Carson City (SICC) began June 8, 1957, first president Audrey Bell Vincent presiding. Our Club's mission is to promote awareness, advocacy and action through volunteer service in our community and to society worldwide by advancing human rights and focusing on the status of women and children. Through our fundraisers and scholarship endowments, our club donates thousands of dollars annually to improve the lives of women and girls in our community. Our Club supports these efforts through grants, scholarships, mammogram program, community service, and various special projects. We meet at noon, 2nd and 4th Wednesdays most months. Some meetings are restricted to members only. Check our Calendar for more information, or subscribe to Soroptimist Carson City on your calendar.